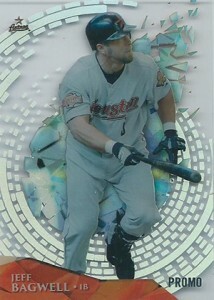 So you think you finally have your 2014 Topps High Tek Baseball player collection complete. Given the rarity of some of the patterns, it's not easy. However, if you're chasing one of a handful og players, there is another card you might not even know about. And you're not going to find it in packs. 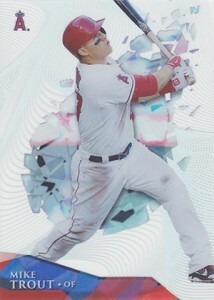 That's because there are 2014 Topps High Tek Baseball promo cards. Created for select hobby shops and promotions, the promo cards are almost identical to their base counterparts. The difference can be found at the bottom where a "PROMO" stamp has been added. 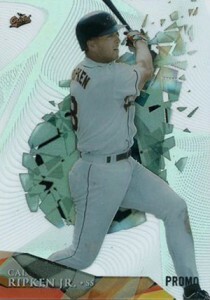 It looks as though Mike Trout, Cal Ripken Jr, Clayton Kershaw, Yu Darvish, Carlton Fisk and Jeff Bagwell might be the only players with 2014 Topps High Tek promo cards. Each only has one pattern. 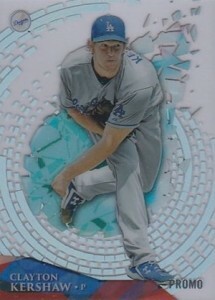 Although promo cards are still a staple with entertainment trading cards, they're an anomaly now on the sports side. They used to be much more common back in the 1990s, before the Internet offered info and images so far in advance. Even still, promos offer something a screen can't. 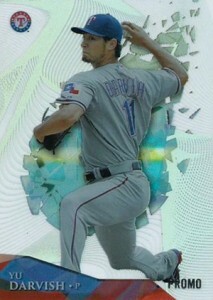 They capture the way a card feels and highlights the technology that a mock-up, no matter how colorful, cannot. Not a lot of the promo cards have surfaced yet on eBay. There's a good chance that many were given away through shops or dealers held onto them. While there are likely more promos than some of the set's pattern variations, their distribution might make them tough to find before long. Below is look at all of the confirmed promo cards. If you'd like to shop for a particular card on eBay, click on the link or image. 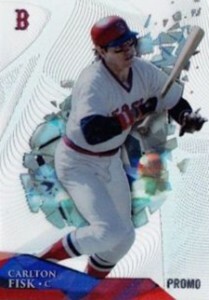 There are Carlton Fisk promo cards on Ebay already, so I believe there may be more than five promo cards out there. Mike Smith � Thanks! It has been added to the list. 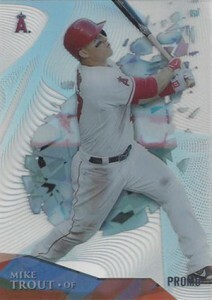 2014 Topps High Tek Baseball Hobby Box - Factory Sealed!